We understand that the goal of your online presence is to get more business. Unfortunately pushing that agenda doesn’t equate to more sales, and often times it actually hurts your firm’s reputation. Instead of sales-oriented messages, you need to think of your customers first. The families you serve may have questions they want answered instead of simply seeing your pricing or reasons to preplan. Build up to a sales pitch with quality content that you know your community wants is the way to go. Note: Sometimes it’s okay to push the sales message. It’s important to take into consideration the platform for delivering your messages to your community. If you are posting daily on Facebook, you can afford to share a variety of content, with the topic of preplanning and/or pricing fitting in as a piece of the nurturing. For your website, you may want to be more direct in pushing a sales message, knowing people are visiting your site for more time sensitive answers. This is also where targeted landing pages can come in handy! Sometimes it seems easier to give in to what’s hot at the moment, without regard to what your firm really stands for. It may be successful for certain industries to acknowledge certain days, celebrations or current news issues, however the funeral industry is unique. You need to think of what that content is doing for your brand. An example of this is content for your Facebook page that simply entices engagement, unrelated to the topic in and around death. Take this example: When posted on Facebook, it’s a ‘game’ to encourage comments. 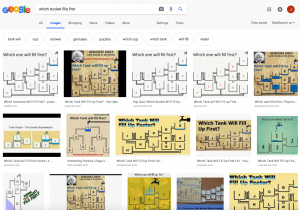 It may seem like it’s a good idea, since as you can tell by the google search, it’s been done and redone in a lot of ways. 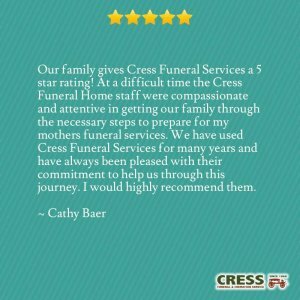 However, it doesn’t show that your firm is the go-to professional in the industry and it doesn’t answer any questions your community may have about funeral planning. It doesn’t help anyone on their grief journey and it isn’t marked with your firm’s logo, so brand recognition isn’t s benefit. We know that it’s best to find the content angle that fits your brand best. Let’s take the example of National Hospice Month, observed in November. What can you share that has a correlation to to your firm and hospice? Well, a lot! Delivering quality content on relevant topics helps your brand’s visibility, but also it’s reputation. Perhaps the time when someone would come to your firm simply because it was the only one it town is gone. Or finding locals at their go-to coffee hub chatting about the latest funeral service they attended is something of the past. The old way of communicating, and getting new business, is perhaps lost, however, the power of referrals is not! You simply must redirect yourself to where the conversations are happening… online. Ask for testimonials from families who are willing, and share them online. Get people talking about the services you offer again, even it it’s on social media. If you ignore your most satisfied customers, you are missing an opportunity for them to be an advocate for you, and to help you grow. It’s best to stick to copyright rules. Don’t steal content – text or images. Site sources and give proper credit. Respond to comments and messages in a timely manner. These seem so basic, but we see too often that they are forgotten in the online world. We’ll conclude our list with this one final piece of advice: speak with a voice. All 4 of the mistakes we outlined above can be avoided if you develop a unique voice for your firm. Your voice will help you think of your firm as a living character, making you more human to the families you serve, and being able to act with heart. Do you see your firm making any of these online marketing mistakes? Let us know! 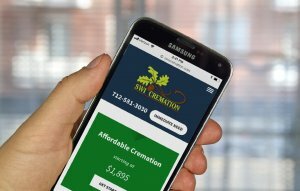 Interested in learning more about how Funeral Innovations can help avoid the risky mistakes and use proven marketing tactics? Contact us today.